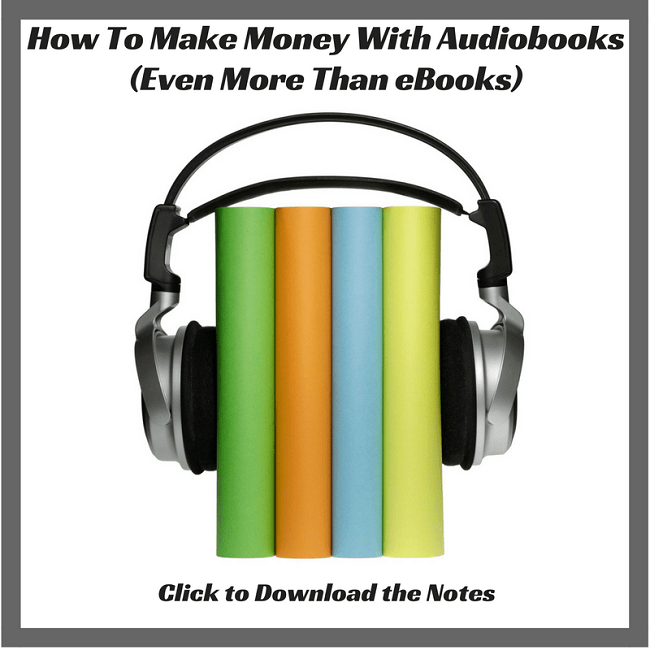 I promise that I will show you how to make money with audiobooks. You can make more money with audiobooks than you can with eBooks these days. Click To TweetAudiobooks are exploding right now. The growth is tremendous, and sales are up 35% so far this year, after growth of 20% the last two years. Audible listening is up 38%. So this is a way to re-purpose your existing content and make more money. You’ve already written the lyrics, now add the song. Add the voice to it and create an audiobook. There are fewer audiobooks per genre, so it’s easier to find the audiobook version that you have out there. Audiobook listeners are fans. You’re building your fan base from everything that you do, whether it is the written or spoken word that you are providing. You can put your audiobook up for virtually no cost. Sites you can used to record your audiobook. Places to post your audiobook for reviews.